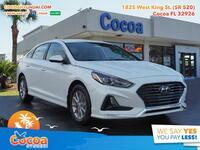 When it comes to sedans, the Sonata might be the most recognizable vehicle on the Hyundai lineup. In fact, it might be that way regardless of segment. It has been on the lineup since 1985, twenty years before anyone had even heard of the Ford Fusion. Even still, the Fusion is one of its biggest competitors, as it is itself an impressive machine. We thought we’d see how our iconic sedan measures up to its much younger segment rival by pitting the 2018 Hyundai Sonata vs 2018 Ford Fusion. As you can tell with one glance at the table above, age can lead to some advantages. 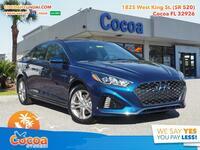 The Ford Fusion certainly holds its own against the Sonata, but the Hyundai sedan ekes out a victory in 3 out of 4 aspects. 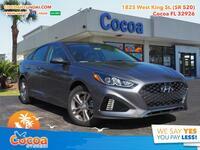 We started with power in the first row, specifically horsepower, in which the Hyundai Sonata delivers an extra 10 HP. Like we said, the Fusion holds its own. 10 HP is hardly a huge advantage. But despite delivering superior horsepower, the Sonata also delivers superior fuel efficiency, achieving an extra 4 miles per gallon on the highway and through city streets combined. That might not seem like a huge advantage, but it’ll certainly save you money in the long run, not to mention the environmental benefits. The third and fourth rows are the weakest for the Sonata, but the Fusion still doesn’t overtake it. 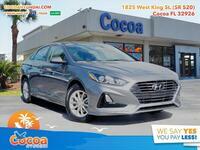 The Hyundai sedan offers an extra 0.3 cu. ft. of space in the trunk and the same number of seats. However, the power and efficiency advantages more than make up for this in our opinion. 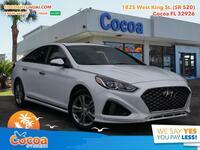 If you’re interested in a 2018 Hyundai Sonata of your own, don’t hesitate to get in touch with us here at Cocoa Hyundai!